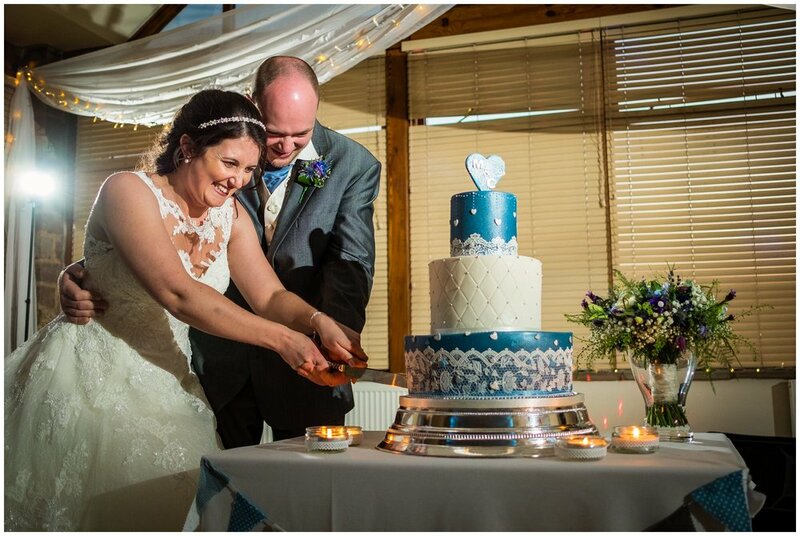 Covering Claire and Mike's wedding was a real privilege as a wedding photographer. The couple got married at Beeston Manor, where I got married myself, which is in Preston, Lancashire. 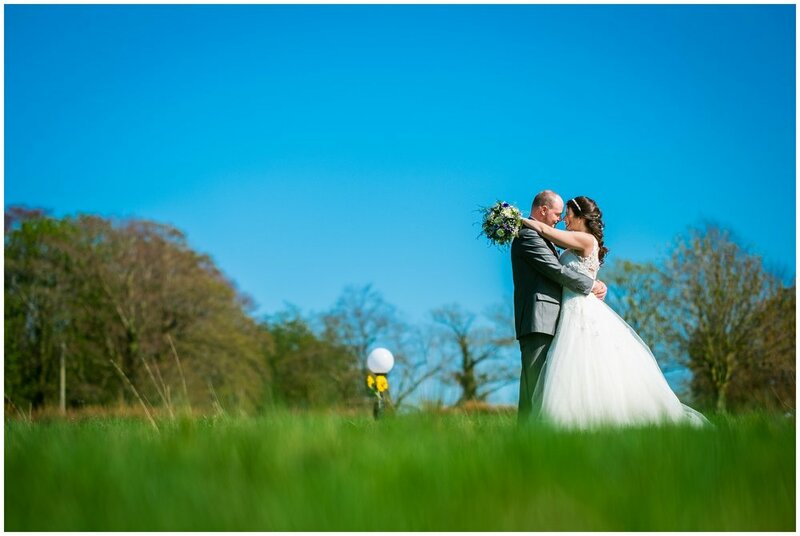 It was such a joy to photograph a wedding at Beeston Manor and to be back where it all happened for me and I hope that I will get more opportunities to photograph weddings there in the near future as not only is the venue stunning, the staff are just fantastic! 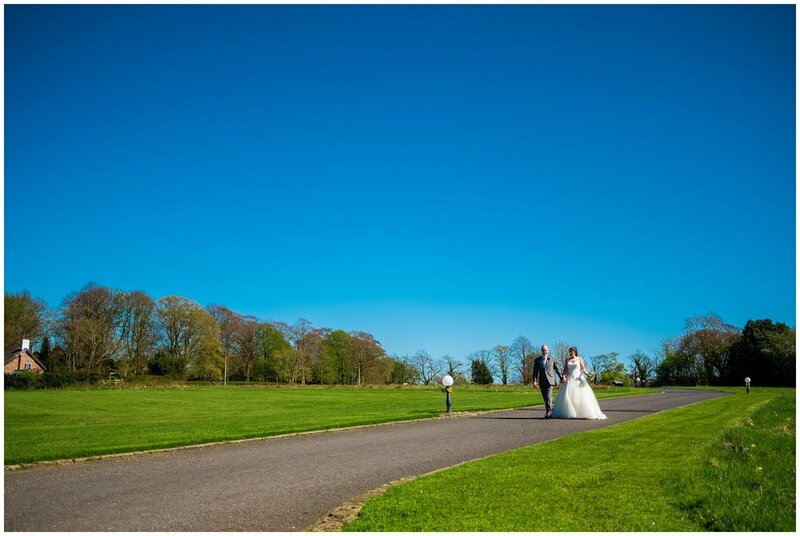 It's an amazing job to be a wedding photographer in Lancashire, as I'm so lucky to be able to work with fantastic couples and venues like this. The couple met in primary school and found me through a wedding fair with Little White Books. 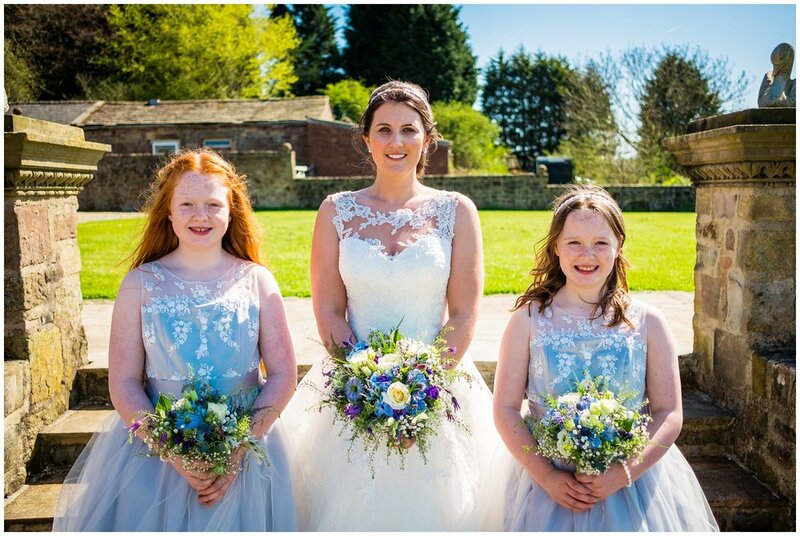 Claire prepared herself early in the morning for her wedding at Beeston Manor with just her Mum and the makeup artist so she could gather her thoughts without any chaos and stress. I captured her getting ready and as she was already at the venue I was able to run out of the groom to capture Mike greeting the guests as they arrived also. 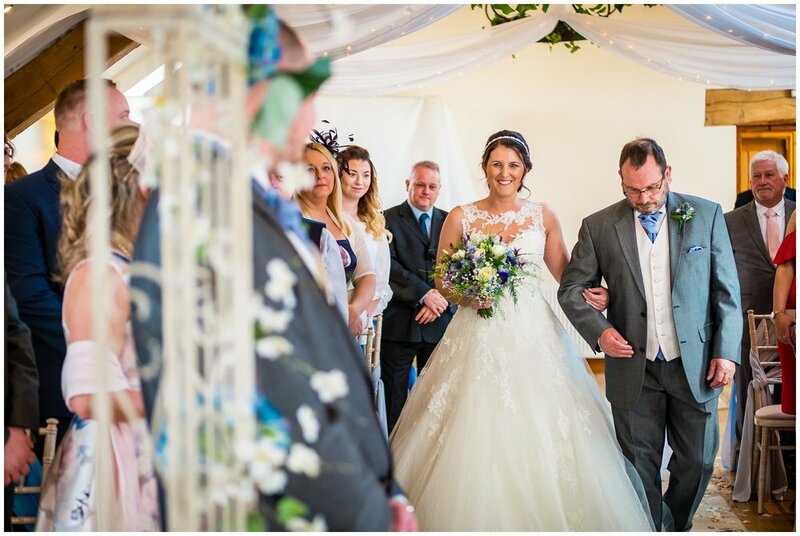 The ceremony took place amongst family and friends and it was truly fantastic to see Claire and Mike cementing their partnership by exchanging rings and saying their vows. 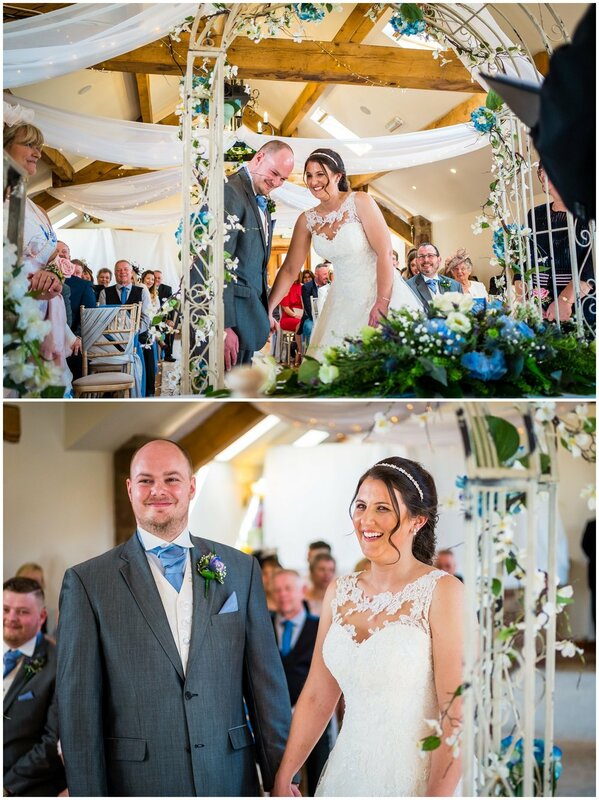 The ceremony room looked amazing with their blue and grey theme that really worked in the setting. After many smiles and laughter throughout they made their way out into the sunshine. 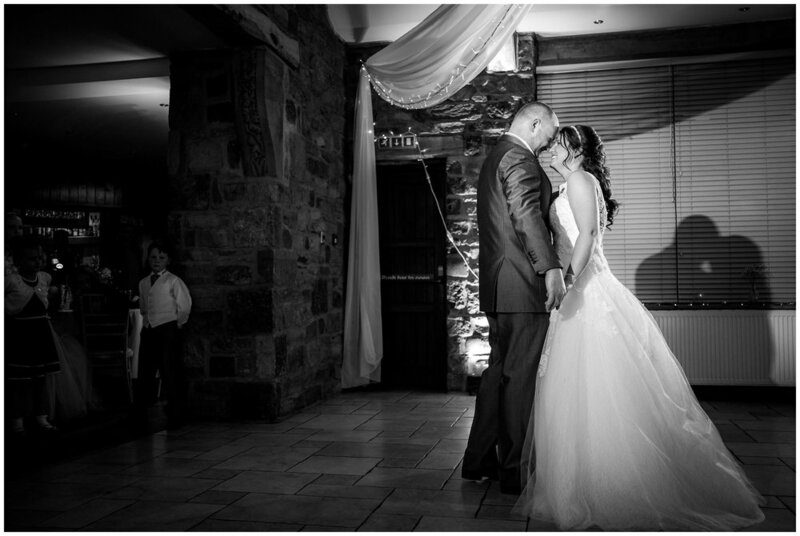 THE RECEPTION, PORTRAITS AND EVENING PARTY. Claire and Mike interacted with the guest at the reception greeting them as they passed in the beautiful rear gardens. They couldn’t have asked for a better day as friends and family soaked in the sun in high spirits! After what has seemed like a very long winter, it was nice to have the sun out from start to finish. 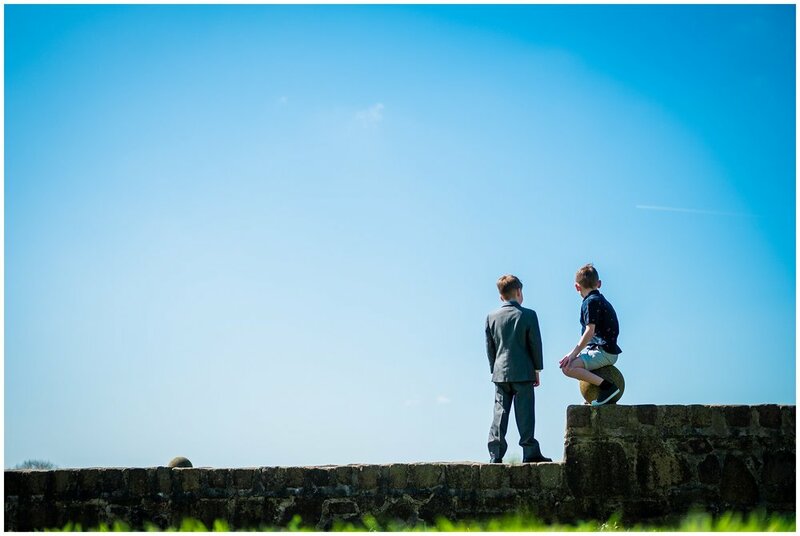 After they’d had time to speak to guests we snuck off to explore the grounds for some portraits. We headed out first for our first session as I knew the sun would set around the back and that would be perfect for later on. Once we’d wrapped up we arrived in time for them to be announced into the room for their wedding breakfast. The speeches followed on and were perfect. 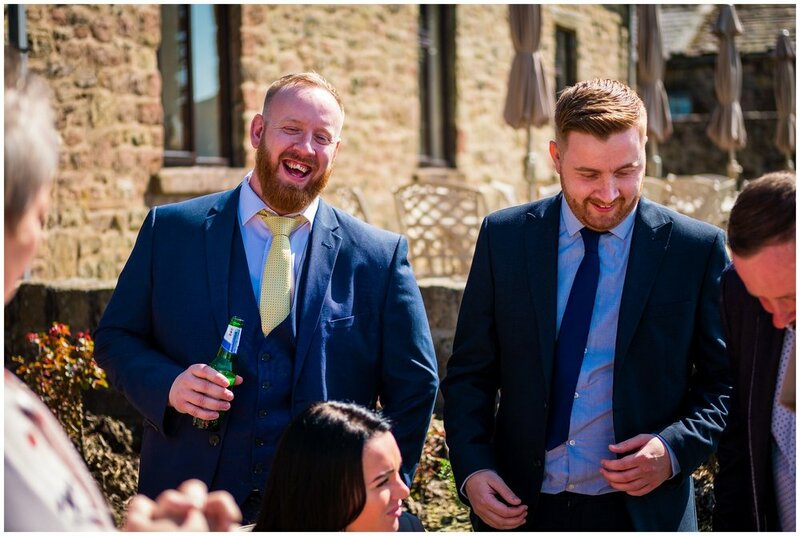 Everyone laughing at the right time, the perfect length to get the message across and heartwarming as they remembered those unable to be there with them on their special day. The evening party was full of hits with James the Singer throwing out some classics for the crowd that had the room singing along loudly. You couldn't wish for a more perfect day for Claire and Mike and I wish them heartfelt congratulations. 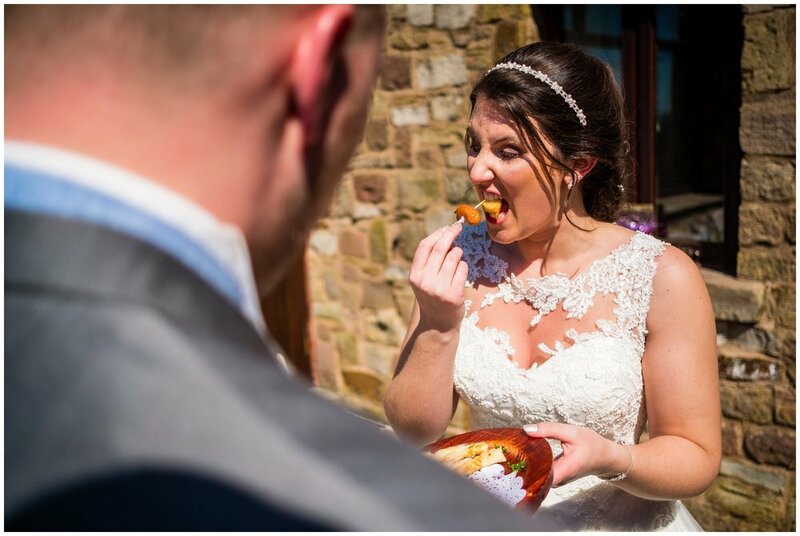 If you're looking for a Lancashire Wedding Photographer to capture your awesome wedding at Beeston Manor then be sure to get in touch! I love returning to Beeston Manor and would love to tell your story there! 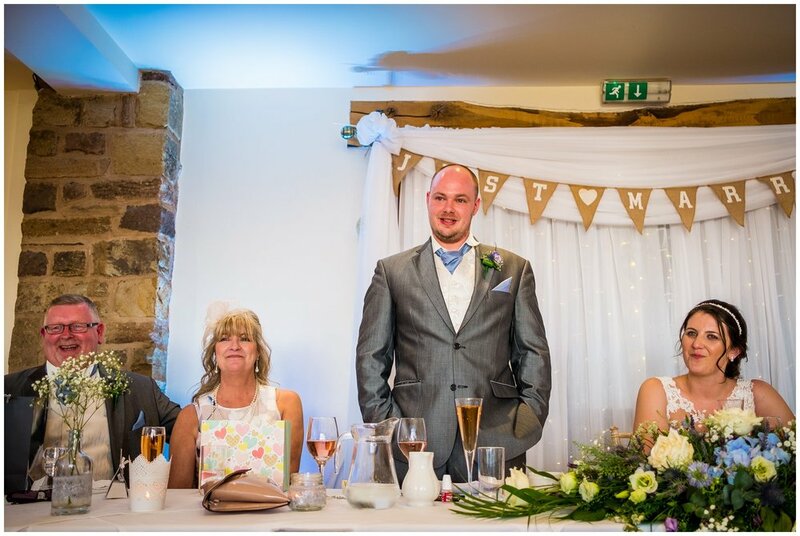 A rustic opening evening at Rivington Barn.